Banjo-B-Que is kind of like the Masters in that you get there early, set up your chair, and then leave it there for the day so you’ve got a great seat for late afternoon and early evening when the heavy hitters start to roll in. When I pulled up Friday afternoon I was running a little late. As I pulled into the parking lot filled with RVs and campers with their tents set up, I could hear Mountain Faith in the distance. When you walk in the first thing you see is kids playing in the water feature of Evans Towne Center Park with a petting zoo to the right and Swifty Swine Pig Races to the left. SC State Fair people might be familiar with Swifty Swine and their prize piglets like Brad Pig and a piglet named for our future president Hillary RodHAM Clinton. I’ve honestly never seen something so small with four legs run so fast for an Oreo. tel Radio, who I had heard of, but had never really listened to. Their first song was some fresh bate that caught me and drew me in quickly. Honestly, I thought they were covering Fleetwood Mac, but it was their new song “Gimme Your Love” which I swear sounds like “Dreams” when you hear it across a field of barking dogs. As the sun set over their heads, they continued into the night as some of the crowd plopped down in the grass in front of them with a beer and just sucked up the beautiful evening. Others danced casually along. Next up was Great Peacock who fired it up a little bit, with the help of a head-banging guitarist in a poncho. 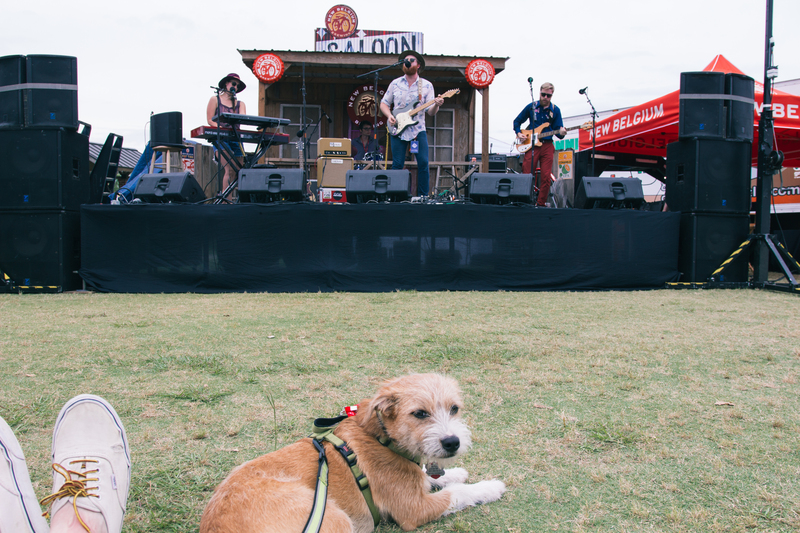 The festival did a great job this year of reeling in some talented and still rising alt country leaning bands like the two mentioned, plus SUSTO and The High Divers. 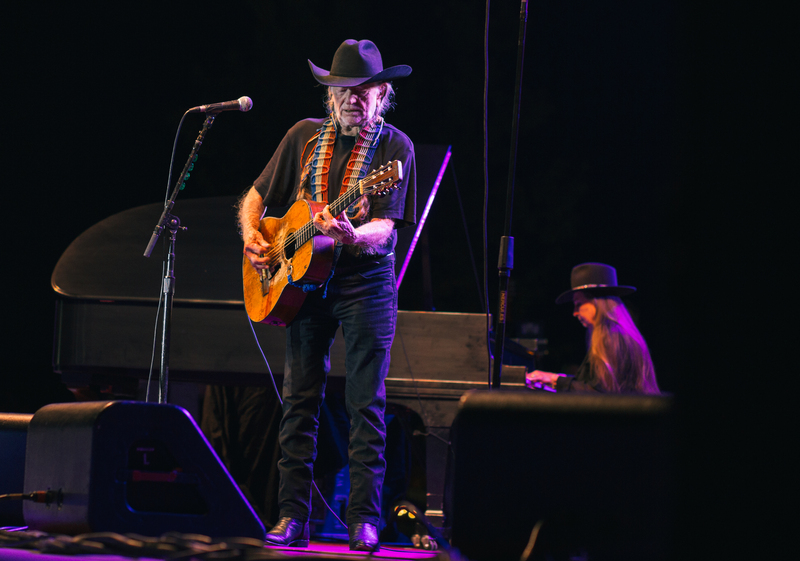 Willie Nelson, who I was most excited to see, didn’t disappoint. It’s unreal the stamina he still has after all those long hard years on the road. And like he sings, “the nightlife, it ain’t no good life, but it’s my life.” He owned the stage, with his band which includes his sister on piano, is clearly still a backing band for the legendary country singer. Make no mistake, his voice and Trigger, are mixed front and center still. He’s not hiding behind any smoke any mirrors, which is pretty much the story of modern country music. I love a medley, truly I do, and that’s what Willie gave me. He played the hits, and he kept them coming all night with little chatter in between. It was fantastic really. Also, I didn’t catch one whiff of that devil’s lettuce, which is just so strange to me. We kicked off day 2 with our homegrown buds SUSTO, who we got to film a Papa Jazz session with the following day. One of three South Carolina bands to play Saturday along with Josh Roberts and the Hinges, and The High Divers, the Palmetto State was well represented. 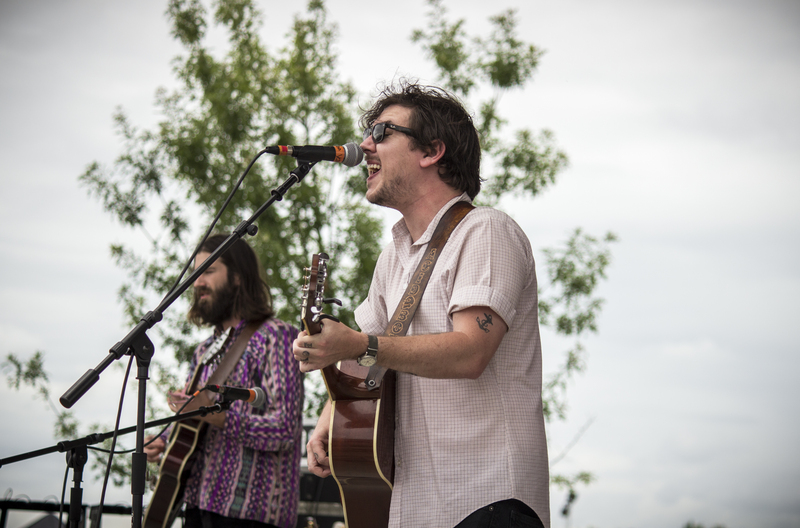 SUSTO took to the main stage early in the overcast day after a week of solo shows and full band shows for singer Justin Osborne, and you could hear it in his voice. I sat there thinking, please don’t apologize for your voice, it was cracking at times. It’s understandable after so many late nights and guttural screams at the end of their set. It didn’t take away from the show, and Osborne wore it like a casual hole in the knee of his jeans. The High Divers were a last minute addition, filling in and getting a nice late afternoon slot just before Sarah Jarosz and around the time they gave out the awards for best BBQ at the festival. Most of the BBQ cookers are regional, but some drive from pretty far off. When you’re leaving on Friday night, they’re just getting started smoking the meats. If you’re wondering what the best thing we ate was, it was these ham balls in pepper jelly. They were amazing. Now back to Sarah Jarosz who was stunning and too said she ate her fill of BBQ. Her voice was clear and bright, melancholy when it needed to be, but her playing stood out the most as she was effortless on guitar and banjo, much different than the fiery bluegrass of both the Steep Canyon Rangers and Old Crow Medicine Show who followed. 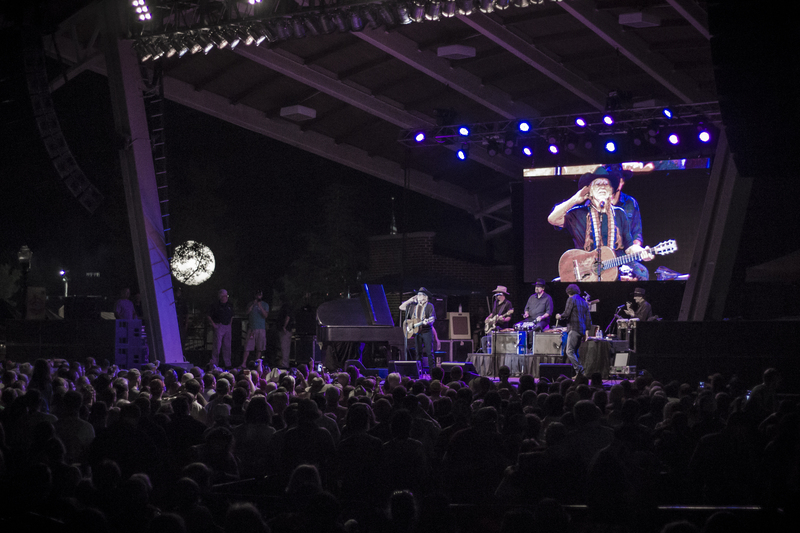 There’s a stark contrast between the Steep Canyon Rangers and Old Crow Medicine Show. Both bands are GRAMMY winners, at the top of their game, both feature tight harmonies, and high energy performances. But something caught me in a recent podcast I listened to with Old Crow where Chris ‘Critter’ Fuqua mentioned that none of them were really trained musicians. When they were writing harmonies for songs they just sang what sounded right, and didn’t as much think in the vertical aspect of music. Both bands do it so well. There’s a point in Steep Canyon Rangers set where the percussionist comes up front for a three-part harmony that brought everyone in the crowd to their feet. Old Crow Medicine Show has played five of the first seven Banjo B Que festivals and by no means are people getting tired of them. I thought, maybe….but not at all. The previous night they had played Charleston, and when they mentioned the muggy coastal town they called it “hoity toity”, which yes it is, and if anyone from Charleston wants to defend that they’ll be lying to themselves. I love Charleston, but I don’t love the Garden and Gun Charleston. I too was happy to be in the CSRA Saturday night, with Old Crow Medicine Show, singing along with them on Memorial Day like I have years in the past. It was a bummer there weren’t any fireworks though. Seeing dogs bolt off their leashes at the sound of them was one was of my guilty pleasures in years past.